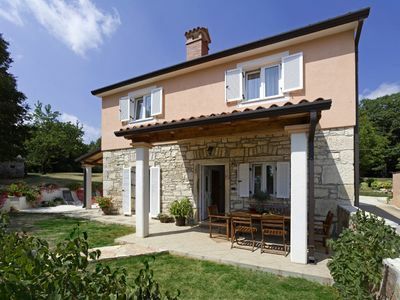 Beautiful house Promaja is an elegant and modern villa built in 2013. 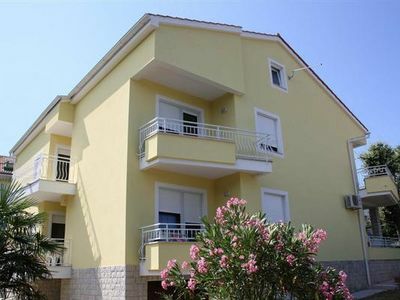 Spacious and comfortable interior of total area of 200 m2 extends over 3 floors and consist of 2 apartments. 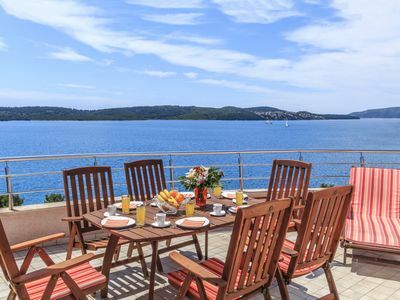 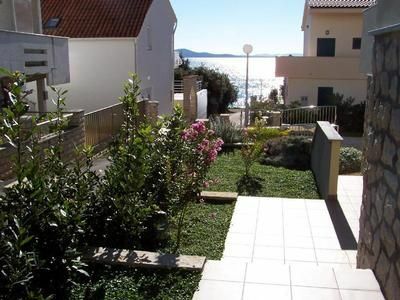 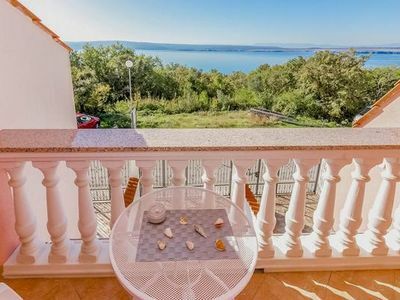 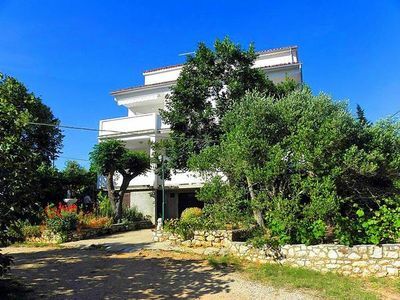 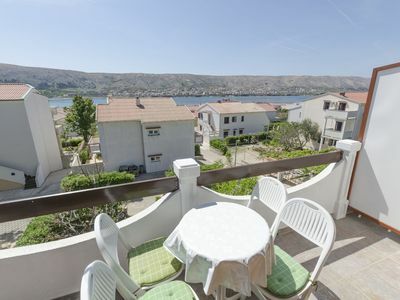 One smaller apartment is situated on the ground floor while the bigerone extends on 2 floors offering beautiful sea and hill view. 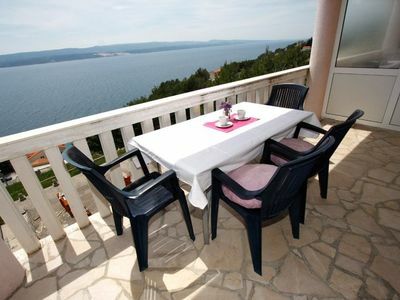 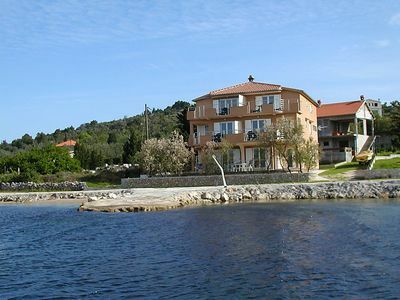 House is fully equipped, modern and stylishly decorated offering highest possible comfort. 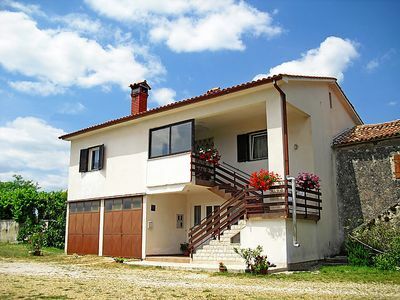 Luxury House Promaja is fully air-conditioned and equipped with LCD SAT TV, CD and DVD players, Wi-Fi Internet access. 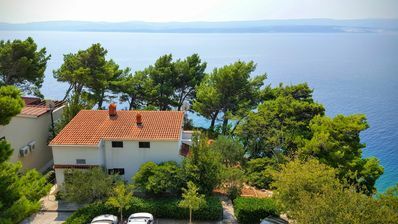 Villa has a fully equipped kitchen with oven, hob hood, fridge, freezer, dishwasher, microwave, electric kettle, kettle, coffee maker,blender and toaster. 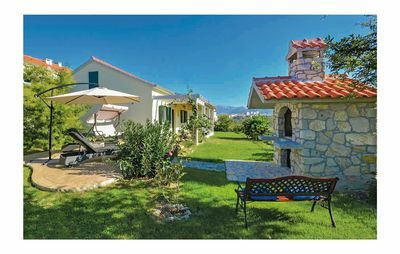 Villa also has a washing machine,hair dryer, iron and ironing board, cot and feeder for the baby. 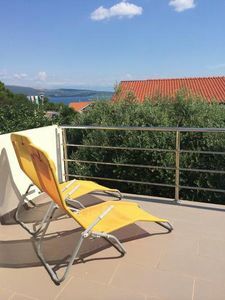 For our guests free parking spaces are provided.On the ground floor there is a smaller suite of 35m2 with the kitchen and dining place, living area with the sofa that can be pulled out, bathroom and a bedroom. 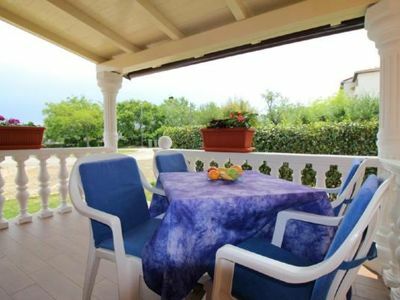 Dining room has the exit to the beautiful yard with a covered terrace and a garden where you will surely enjoy drinking morning coffee, or grilling in the evening after a wonderful day at the sea. 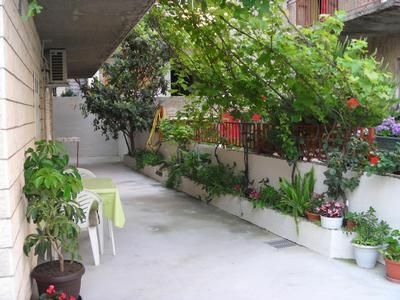 This apartment can comfortably accommodate 4 persons. 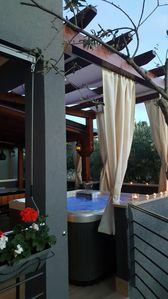 On the first floor of the villa, connected with the ground floor by internal staircase there is spacious and elegant decorated area which consists of equipped kitchen and a dining area, and spacious living area with a large sofa, 65 inch LCD TV and a fireplace. 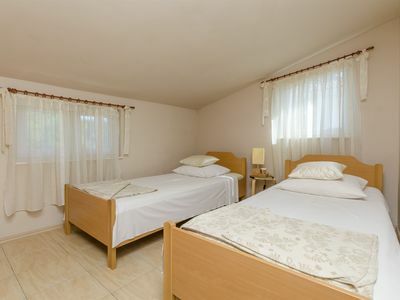 Opposite of the living area there is a guest toilette. 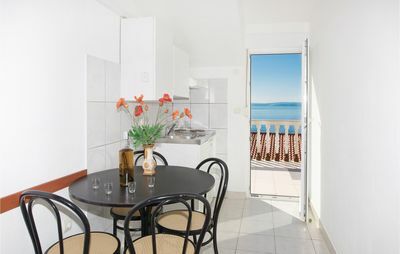 From living area there is an exit to the long terrace with sitting garniture, which offers a magnificent view on the whole bay and endless sea.On the second floor, which is connected with the rest of the building by internal staircase, there are 3 bedrooms with double beds and bathrooms with a shower cabin. 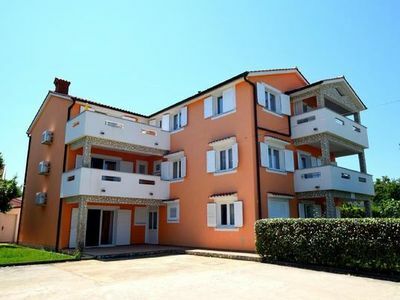 All rooms have double beds for comfortable accommodation of 6 persons.Entire space of House Promaja is a suitable for comfortable accommodation of 10 people, including extra beds.